What Breed is my rabbit please? Here is Galileo who is 3 years old. I was thinking he was a mini rex. However his mane confuses me. We were told he was an angora dwarf, but I think the sellers had no idea. Comments for What Breed is my rabbit please? 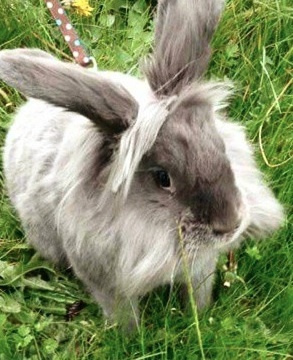 I had one that looks almost exactly like this except some more fur on his side, and he was a mini rex and lionhead mix.